1. Day camp or sleepaway camp? When choosing a summer camp, first things first: Simplify your options. 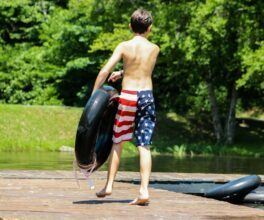 While there are hundreds of camps out there, you need to decide first and foremost whether you’ll be picking a day camp, an overnight camp, or a combination of both for the summer. The most important part of this step is involving your child in the decision-making process. Some 7-year-olds are ready for overnight camp, others are not; and parents need to be ready too. Session length is also a consideration when thinking of overnight camps as some offer 1 week sessions and others offer 2, 3, 4, or 7-week options. 2. Specialized programming or general fun? Consider your child’s interests: what do they enjoy doing and what new activities would they like to try? Are you hoping for them to enjoy a wide range of experiences or do you want to opt for a specialty camp that focuses on a particular activity or set of skills? Nowadays camps offer all sorts of specialized options including horseback riding, circus and performing arts, sports, science and computer-based activities, and more. 3. Philosophy and mission: does it match yours? Now that you’ve narrowed it down some, it’s time to get to know the camp itself. What are you looking for in a camp? What should you be looking for? A sure-fire way to check whether a camp is the right fit is to consider your own parenting philosophy and whether the camp’s philosophy matches this: what is their view on competition, conflict resolution, flexibility and free-choice, are they affiliated with a religion, etc? Another aspect to consider is the children that make up the camp’s community–would they all be from the same area or does the camp welcome children from out-of-state or other countries? The general rule of thumb is that the earlier you sign up for summer camp, the cheaper it is. Some camps may offer financial aid or payment plans as well as sibling discounts or multiple week discounts. Check whether tuition is all-inclusive or if there are additional costs for transportation, specialized activities, out-of-camp trips, etc. All camps should have helpful FAQs on their website which will most likely provide answers to questions you hadn’t even thought to ask. Management and Staffing: What is the Camp Director’s background? How are staff members selected, screened and trained? What supervision ratio does the camp enforce? Accreditation and References: Is the camp accredited by the American Camp Association? Are they willing to provide previous camper families as references? What is their return rate for campers and staff? Facilities and Food: How are campers bunked and what are the bathroom facilities like? How does the camp accommodate fussy eaters or food allergies? Health & Wellness: How does the camp handle medical issues and manage camper medications? What about special needs? Are there health care professionals on-site and where is the closest medical facility? How is homesickness handled? What is the camp’s stance on behavior management? Activities and Program Goals: How does the camp assign campers their activities – is it free-choice or do they receive a structured schedule as a group or individuals? Which is better for your child? How does the camp structure free time into a typical day? 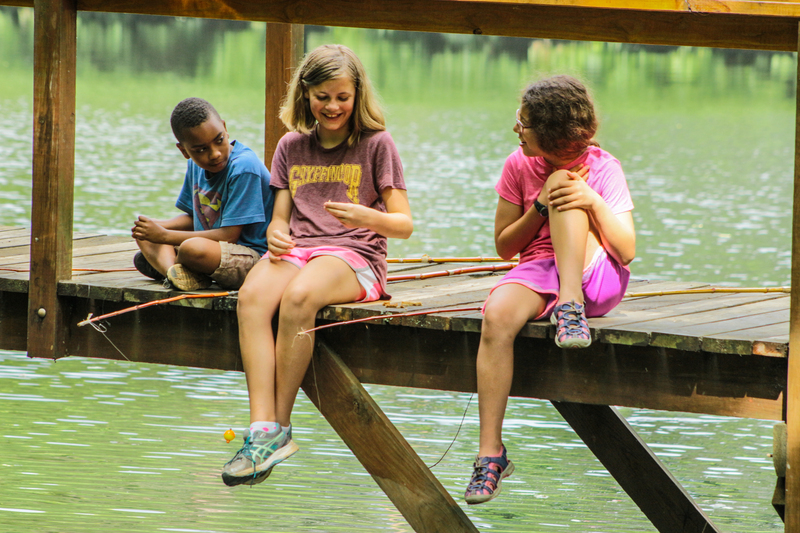 Communication: How can you stay in touch with your child during camp? Does the camp allow electronics or is it technology-free? For a nervous camper (or parent!) there is nothing better than actually visiting the camp to ease any anxieties. Many camps have open house days where first-time camper families are welcomed onto camp to meet staff, see the facilities and ask questions. At Camp Friendship, we offer Spring Break Camps and Family Camp Weekends to help new families adjust to the idea of sleepaway camp! Some camps also offer private tours just for you and your family. If you live too far away to visit, some camps may have camp videos or virtual camp tours on their websites which may be helpful. There’s a camp out there to suit every child. Choosing a summer camp takes time to research, but it’s worth it! When you consider the fact that over 14 million people attend camps annually in the United States alone, it becomes easy to recognize that there must be something special and beneficial about the experience.